INDUSTRY.co.id - Palu - Central Sulawesi Provincial Government records up to the first half of 2017, as many as 20 smelters or nickel processing plants spread across the region. In addition, based on existing data, the amount of Mining Business License (IUP), especially Mineral Nickel spread in Morowali Regency as many as 40 IUP, North Morowali as many as 30 IUP and Banggai Regency as many as 21 IUP. 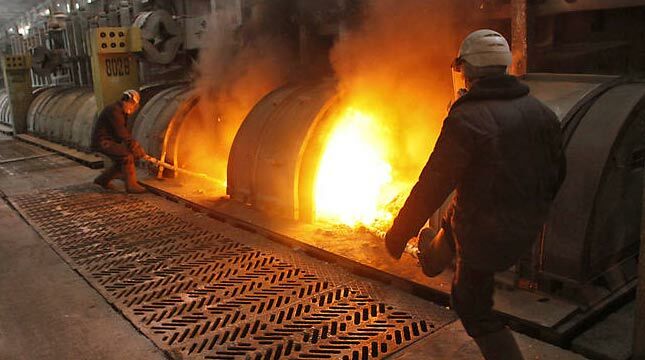 One Stop Office (DPMP2ST) Central Sulawesi Investment Office notes the Smelter deployment of eight Smelter companies operating within PT Indonesia Morowali Industrial Park (IMIP) ie PT Sulawesi Mining Investment (SMI), PT Indonesia Guang Ching Nickel And Stainless Steel Industry (IGCNSSI). Furthermore, PT Tsingshan Nickel Iron Indonesia (TNII), PT Broly Nickel Industry (BNI), PT Decent Stainless Steel (BSS) or PT Tsingshan Billiton Stailess Steel (TBSS), PT Indonesia Ruipu Nickel Chrome Alloy and PT Indonesia Tsingshan Stainless Steel (ITSS) . Then two companies within the area of ​​PT Cor Industri Indonesia (CORII) namely PT CORII and PT Macrolink Omega Adi Perkasa (MOAP). The five companies are PT Transon Group, PT Transon Bumindo Resources, PT Artabumi Sentra Industri (ASI), PT Abadi Metal Smeltindo (AMS), PT Metal Smeltindo Selaras (MSS) and PT Pacific Metalurgi Indo Smelter (PMIS). There are also five companies within its own territory, namely PT Wosind Mineral Perkasa (WMP), PT Yieh Ferro Indonesia (YFI), PT Libaoli Nickel Smelter (LNS), PT E-United Ferro Indonesia (EUFI) and PT Wanxiang Nickel Indonesia WNI). The Provincial Government of Central Sulawesi in Palu City on Wednesday (6/9) held a coordination meeting on controlling the implementation of capital investment to Smelter owners and IUP owners of Central Sulawesi in 2017. It is coordinated meetings with business to business meetings, bringing together Smelter owners with IUP owners who already have a clear and clean (CnC) status.